Sadiq Khan said he is keen to give "confidence" to Indians that the city remains open to their talent. 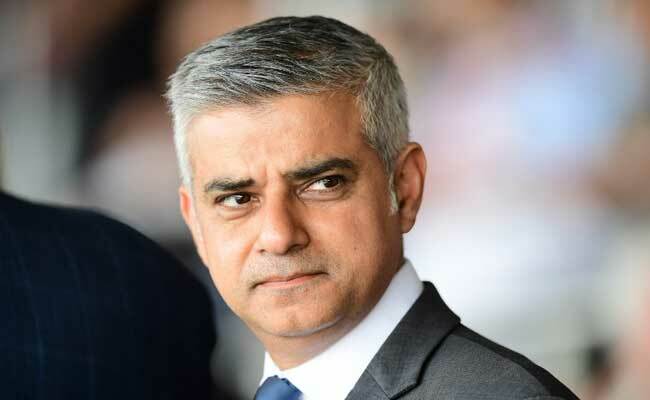 London: London Mayor Sadiq Khan announced on Tuesday that he would visit India and Pakistan this year to promote the British capital as a destination of choice for trade and cultural ties. Mr Khan, whose grandparents were born in India and parents migrated from Pakistan to the UK, said he was "very excited" to become the first senior British politician in recent times to visit both the countries at the same time during the six- day, six-city tour planned before the end of this year. "As someone whose grandparents were born in India, and whose parents moved to London from Pakistan, I feel a deep affinity for the subcontinent," said Mr Khan. "What excites me most about this trip is that I know it can deliver real benefits for Londoners. Benefits in terms of business and trade, jobs and investment, and in terms of cultural and technological exchange," he said. The mayor described the visit as an "important mission" as there are many areas in which London can work with its counterparts across India and Pakistan, in business as well as tackling some of the "biggest challenges" such as air pollution and climate change on a city-to-city basis. "In London we are a beacon of tolerance, respect and diversity, which I will try my best to demonstrate," he said, when asked if he would intervene on the issue of tensions between India and Pakistan. "I am passionate about showing that my city will always be open to engaging with partners from around the world. While the government cannot engage in trade talks until Brexit negotiations are ongoing, there is no reason why we can't work on closer relations with the rest of the world," he said. Highlighting that India remains the third-largest international student market in London, Mr Khan said that he is keen to give "confidence" to Indians that the city remains open to their talent. "World leaders like (Mahatma) Gandhi, (Jawaharlal) Nehru, (Mohammad Ali) Jinnah and (Zulfikar Ali) Bhutto have all studied in the UK. "My message will be that the underlying reasons have not changed and that I will continue to lobby the government on getting a good deal for London," he said, pointing out that the capital had not witnessed any lack of investment from India and Pakistan since the Brexit vote last year. During the visit to the subcontinent, the mayor will meet senior politicians, business leaders and city chiefs and will be accompanied by his Indian-origin deputy mayor for business Rajesh Agrawal. With his "London is Open" campaign at the heart of the visit, the delegation will also be promoting the city as a great location for Bollywood films. "Meetings with a Bollywood star or two are planned. It pains me to see a film shot somewhere in Europe because I want them all to be shot in London. I am very competitive that way and competition is a good thing," Mr Khan said. According to official figures, London is strengthening its dominance as the leading destination for Indian investment in the UK as 44 per cent of the fastest-growing Indian companies are now based in London an increase from 39 per cent last year and 25 per cent in 2015. Of these, tech is the top sector for Indian investment, accounting for 46 per cent of all Indian investment. A delegation of business leaders taking part in the Mayor's International Business Programme will also meet up with Mr Khan in Mumbai before the members move onto cover Hyderabad and Bangalore under Agrawal's leadership. Besides business ties, security issues around counter- terrorism will also be touched upon but Mr Khan stressed that he did not want the relationship between London and India and Pakistan be seen through the "prism of security" as he was keen to promote his first visit to the subcontinent as London mayor as a positive one.